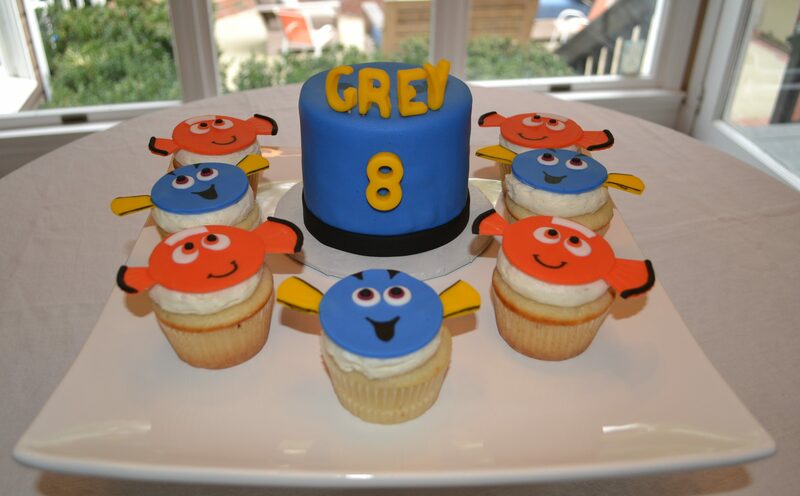 I often get requests for cupcakes at birthday parties because they are so much easier to serve. The one down side, however, is that the birthday boy or girl doesn’t get a “real” cake to celebrate with. One alternative is to provide standard cupcakes for the entire party and then add a 4 inch round cake for the guest of honor.